This can be interpreted as how “fast” or “sl ow” the Sun (or a sundial) is compared to clock time. It also shows how far west or east the Sun is, compared with its mean position. 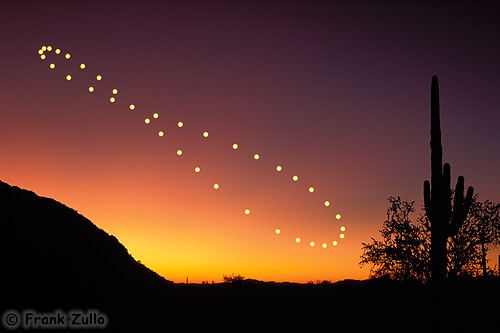 The analemma can be considered as a graph in which the Sun’s declination and the equation of time are plotted against each other.